This is a primer type of textbook for social scientists who would like a quick start to learning spatial regression methods. The past few decades have seen rapid development in spatial regression methods, which have been introduced in a great number of books and journal articles. 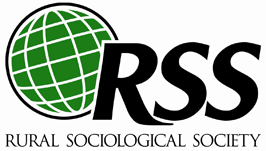 However, when teaching spatial regression models and methods, the authors had difficulty recommending a suitable textbook for students in the social sciences to read. Many of the existing textbooks are either too technical for social scientists or are limited in scope, partly due to the rapid development in the methods. A textbook that provides relatively comprehensive coverage of spatial regression methods for social scientists and introduces the methods in an easy-to-follow approach is much needed. This book fills the gap and focuses on the methods that are commonly used by social scientists and tend to be useful to them. These methods include exploratory spatial data analysis, methods dealing with spatial dependence and/or spatial heterogeneity, and spatio-temporal regression models. The distinguishing features of the book include: comprehensive coverage of spatial regression models—from simple concepts and methods to advanced models—makes this book useful for a diverse audience including instructors, researchers, and students in a wide range of disciplines; the book’s pedagogy includes study objectives, sidebars highlighting important points, figures/illustrations, and study questions for easy mastery of the material; supplemental materials including figures in color, data, and codes are available on github.com/srmss, which also hosts online discussions and new materials. This book could be particularly useful for social scientists who are familiar with standard regression methods and desire to learn spatial regression models and methods.